On today’s post I am reflecting the post I put onto the above group with the added bonus of an excerpt. The novella is actually two stories in one, the story of Guillem’s adventure and the tale he relays to the King’s court. Bio: Mandy Eve-Barnett resides in Alberta, Canada but is originally from England. She is a multi-genre author and freelance writer and lives and breathes the written word and creativity in all its forms. She is the Secretary of her local writing group, the Writers Foundation of Strathcona County, and President of the Arts and Culture Council of Strathcona County. Mandy publishes regularly on her blog – http://www.mandyevebarnett.com – where she has built a thriving writing community – sharing tips, news, interviews, and excerpts. She has published three children’s books and her adult novella, set in medieval England, The Rython Kingdom. She has also co-written a guide to memoir writing. Currently working on four manuscripts Mandy is never happier than writing and creating imaginary worlds. Guillem smiled at the group of children running beside his horse as he rode toward the castle’s drawbridge. Dirty and barefooted, these youngsters would not be lucky enough to hear his newest tale, first hand. That pleasure would be for the inner court alone. It was a strange and most complex tale and all the more mysterious for being made of a dream. Shouts of his approach preceded him, thrown from one person to the next across the dirt track and woven among the shacks lining it. The summer heat had denuded the earth of moisture; dust swirled around his mount’s hooves, creating a cloak of fine grains behind them, shrouding rider and horse. Ahead, the King’s standards lay limp against their poles high above on the castle turrets; thin strips of coloured cloth obscuring the lion head emblem of the king. More children, and some adults, ran beside him, eager to witness this famed troubadour first hand. The talk among the courtiers and peasants alike had been of his arrival and little else for many weeks. As Guillem entered under the portcullis, it brought back memories of returning from battle years previously. Conquering heroes were showered with flowers and rewarded with grand feasts and warmed by many a maid. Serving as a knight in his younger days, Guillem had been admired for his prowess in battle, but now he was even more revered as a troubadour. His tales of battles and faraway lands held audiences spell bound as he punctuated them with displays of swordsmanship and the exhibiting of combat scars. So popular was Guillem that a feast or festival without his presence was considered incomplete. Fierce competition between lords kept Guillem’s purse and belly full as he traveled from one borough to the next, shamelessly attending whomever paid the highest fee. His new life fulfilled his wander-lust. Being confined to one place filled him with dread as did faithfulness to just one maid. Why restrict yourself to one when there were so many to pick from – all willing to bed the famous knight and troubadour? Word had reached him a month prior notifying him the king himself requested Guillem’s presence at court. It was an honor to be bestowed with such a command and Guillem did not hesitate to comply. Not dallying at Lord Suffolk’s seat; as was his usual habit. Normally, he would take advantage of the many benefits afforded him but, this time, he packed his saddlebags the very same night and set off toward the king’s domain at daybreak. Several requests for his presence had made it to his ears as he traveled but each was declined in favor of an audience at the king’s court. Once it was common knowledge the king had requested Guillem to speak, Guillem knew he would be able to use it to increase his fee. Ahead of him now was the sovereign’s castle keep with sentries standing at both sides of a stairway leading up to massive oak doors. The excited crowd jostled for position to get closer to Guillem and perchance to touch him or his fine mount. A herald sounded his trumpet as Guillem dismounted. The shouts died away as all eyes centered on the keep’s massive doors. They slowly opened. All knees bent and heads bowed as the regal figure of King Henry was revealed, resplendent in deep purple robe and golden crown. With measured steps, King Henry descended the stone stairs. Guillem bowed deeply again then handed his horse’s reins to a saddle hand, who was fidgeting beside him. As the boy led his mount away, Guillem could hear the lad’s excited whisper to the surrounding crowd. Careful to remain a step behind, Guillem followed his King into the castle’s dark interior. The huge stone blocks prevented the heat of the outside world from entering. Guillem shivered involuntarily. I should have taken my cloak out of the saddlebag before releasing my horse into the care of the boy. Then another thought struck him and he turned to see his horse being led away on the far side of the courtyard – he had not secured the small box. He had promised a mysterious old man he would not let it leave his possession and now it was in the hands of a young stable lad. A young man appeared from the shadow of a stone column and presented Guillem with a thick woolen robe. Its heavy warmth felt pleasing. Serfs opened an inner door as the King approached and allowed the two men to enter the great hall. Long oak tables flanked the centre aisle below a raised platform where the King’s ornately carved table and throne stood. Following his sovereign’s lead, Guillem walked toward the roaring fire at the far side of the huge room. Its radiant heat was welcome in the cool interior of the castle. The serf had moved so silently that Guillem jumped when he responded to his master’s command. Also available as an ebook from all Amazon, Smashwords and Barnes and Noble. Today is the last day for my lost words feature – I would like to thank Stephen at http://phrontistery.info/index.html for allowing me to utilize his wonderful site. It has been a learning curve and intriguing to see how many words are no longer used. Some you can understand have lost their relevance but others I think should come back! I hope you enjoyed the lost words feature and that you will continue to enjoy the subjects for the remainder of the year. My Monday features from now on will be random – unless someone has a particular topic that they wish me to cover for the remainder of 2016. Wednesday‘s will cover reincarnation, life after death and other phenomena and possibly a dash of romance!- As I will be editing and revising my time-slip romance, The Twesome Loop, which centers on several characters finding their reincarnated soul mates. Saturday‘s will continue for the prompt contest’s – remember to post your response and then vote for your favorite – chances to win a prize every quarter. The essomenic properties of crystal balls are very much in dispute. The patration of my dissertation will be an occasion for great merriment. The prebition of his treasure-find to the king earned him great honour and esteem. My sentence: With the patration of this topic, I offer a essomenic and prebition for the remainder of the year. The devil is in the details – how do you balance too much & too little to ensure your readers continue to read but enjoy the journey? 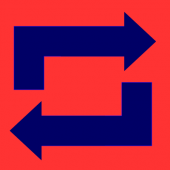 Feature & Follow Friday is a blog hop that is designed to provide some much-appreciated exposure to the bloggers participating, and to expand their following. 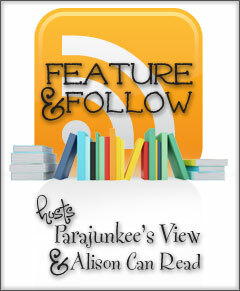 Hosted by Parajunkee and Alison Can Read, each of whom feature a chosen blog for the week, it’s an interesting way to get to know one another.